Body piercing equipment is readily available anywhere. Irresponsible adults and children may easily purchase it from the Internet and use the equipment with no knowledge of consequences or risks. This article has a few what-not-to-dos for the people who cannot find warnings anywhere else. Piercings and body modifications are a serious decision to make, so make sure to read these precautions in case you are unsure of what to do. Peer pressure or experimentation is a common thing for teenagers, especially while they are in high school. Unfortunately body modification seems to be an impression for certain cliques, and may even determine an individual's group ranking. So, you can see why these kids will go to great lengths in order to save or improve their reputations. Many of them will even pierce their own bodies if they have to, and no matter how small the piercing may be, devastating consequences from one of these small decisions could possibly take place and destroy their lives if not prove fatal for some. Before even considering, where on your body, you will get a body piercing, you need to make sure that you have made a comfortable decision on a body modification professional or shop. 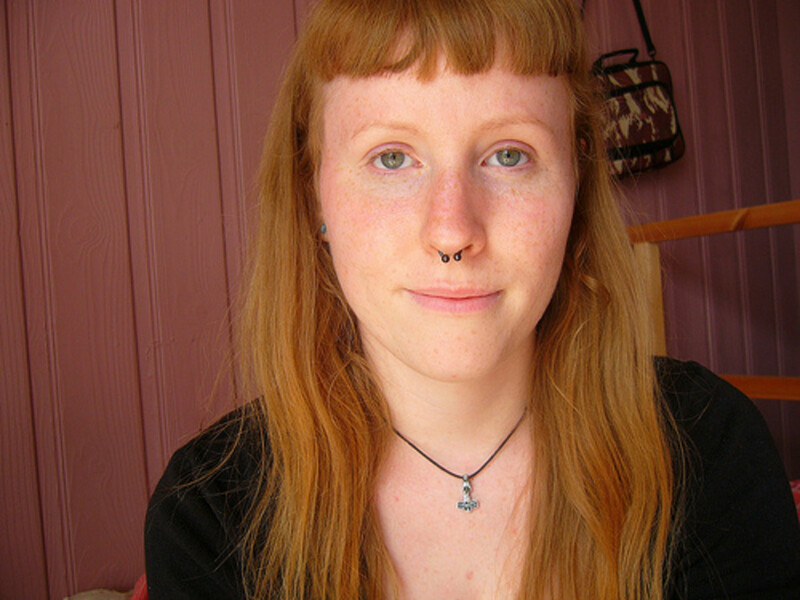 I will tell you from experience that you should not confide in just ANY body piercing shop or so-called professional. This is by far the most important part of all decisions to be made. When you first walk into a body piercing shop, make sure that you have seen if they have any college degrees or professionally earned certificates on display. This will help to reassure you that the piercer has some knowledge on the human anatomy in some sense. It also helps greatly to ask around if anyone knows any rumors or has noteworthy comments to share. Make sure that any professional that might be dealing with your piercing, is in a suitable, professional mood and attitude to get the job done correctly... you pay $50 for a piercing, but you don't want to have to pay $200 for an emergency visit to the doctors a week later. Get to know AS MUCH AS YOU CAN about the shop or piercer as you possibly can! I can't find a professional body piercer... Should I do it myself instead? When you cannot find a suitable body piercer locally, or cannot afford a piercing, or you need the piercing by tomorrow... please, please do not pierce your own body, and here are multiple reasons why. Allergies: Many people have them and might or might not know it. You may be allergic to certain metals such as gold, silver, copper, or other fake or plated jeweleries which might be used to fill your piercing. Infection: Infection is the number one problem that takes place from piercings in general. Non professionals, or people who have not gone to school or studied the correct ways to care for piercings may not be using sterile equipment, may be using harmful chemicals to clean the wound, or may accidentally contact, or spread, fatal or very harmful diseases or viruses. Piercing Wrong: This is a common issue among people who pierce themselves or have no formal training in piercing other people. 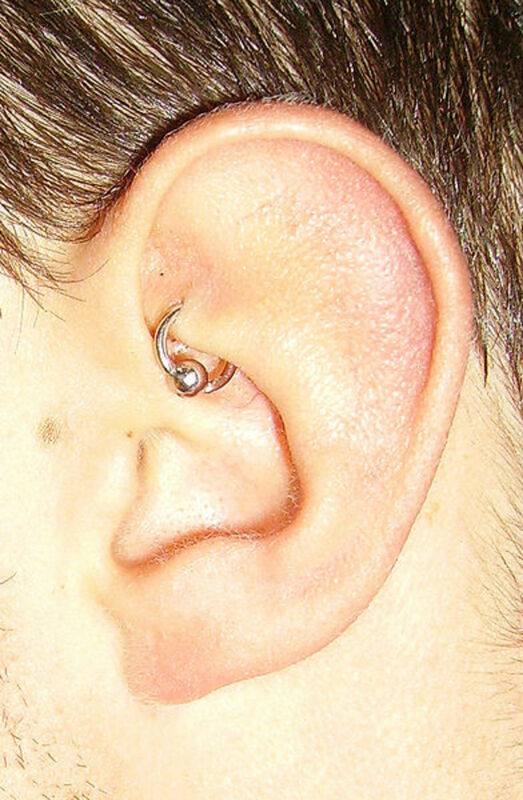 This is also the most fatal issue linked to many serious infections found in piercings. The human body, no matter which area we choose to pierce, is filled with blood vessels, nerves, and arteries. Accidentally cutting, or having the jewelry push against them can cause irritability to certain pierced layers of tissue or even internal bleeding that you may not know about until it is too late. Migration: Some people may not know it, but after you get a piercing, your body begins to look at the jewelry as a foreign invader to the body, keeping the wound open. Your body's natural solution is to try to force the invader, in this case the jewelry, through the outer layer of tissue. Pressure may also be placed on the skin by the jewelry, causing the wound to migrate into a more comforting position. After these procedures, your dedication to keeping your wound clean, and whether or not it has gotten infected yet, your wound will begin to close around the jewelry and heal in its new position. Although I have stated a few, there are many other risks to take when considering piercing your own body. They may seem to be minor risks and consequences, but it only takes one small, wrong step to form a minor infection or risk into a fatal or scarring one. Remember that an irritated piercing is subject to many infections, which may also lead to scarring. Once you have found a place you feel comfortable in getting a piercing from, it is time to figure out where you want your piercing, and what jewelry is best suitable for the choice (I will have another article by tomorrow, on the different types of jewelry used, and which piercings they are for). Remember that the deeper the piercing is, the longer it will take to heal and the more likely there is to be scarring after the removal of your piercing when you no longer want it. Piercings in the soft tissue tend to have more noticeable scars as well as being more prone to migration. We all know about pain killers, and how much they help us endure physical pain. I 100% do not recommend you to take any medications until after you have your piercings, unless suggested otherwise by your physician or doctor. Most medications have various effects on the blood... the most important to avoid would be certain blood thinners (heart or cholesterol medications especially). Certain foods also have this effect. Blood thinners, when you get your piercing of choice, may cause excess bleeding to occur, especially those dealing with deep tissues. With any piercing you will most likely bleed a little bit, but with the loss of a tiny bit of blood, and the shock your body endures in trying to steal vitamins and minerals to heal your wound, I recommend you to eat a piece of fruit before your piercing. The sugars of the fruit will also help in the clotting of the blood as it exits the wound, therefore stopping excess bleeding from happening. After you have gone through the piercing experience, you will need to keep the wound clean. Most piercing shops have wide varieties of medical wound cleansers or care kits, or they will sell their own piercing cleaning solution. These cleansers are not always expensive, and they come with instructions, but sometimes it runs out faster than expected. By the time it runs out, your healing should almost be complete for your piercing. When you are are traveling and cannot take these chemicals with you, you may use a saline (salt-water) solution to clean the piercing. Do not clean the wound again with regular water after that, because the salt in the saline helps the wound heal. Do not try to use antibacterial soaps, liquids, or sprays, because most of these have chemicals will kill good bacteria as well as the bad, and may dry out the wound, putting a halt to the healing process. Also keep your wound moist with a gentle and light appliance of petroleum jelly or other medicated ointment for the use of open wounds. It is best to keep your piercing uncovered so that the wound may 'breathe' as well, while healing. Certain herbal treatments for the healing process may also be helpful. Turmeric, apples, chamomile, green tea, cucumbers or even just a cold compress may help with swelling. If you are suffering from infection, try eating many healthy, natural foods and herbs. Once I hit my adolescent ages, I starting getting into piercings. It was a thing that my family was against at the time for any males in the family, but I started experimenting anyway.... After a while, my mother gave in and finally let me get a piercing, but she wanted it done professionally... so we went to a local piercing and tattoo shop. I studied for years beforehand about piercings, placements, causes, everything... but the body piercer who pierced my ear, obviously did not. We saved up a little money, and prepared for the day I would get my piercing done, but neither of us checked to see if he had any more experience in piercing than the one he explained to us. He cleaned the area-to-be, and the whole shebang. It bled allot, and I knew from then that I would suffer with this, because I never bled this much, even my own piercings. Weeks passed by and it didn't heal; it just kept getting infections... well, I took a closer look at my piercing and come to find out, the amateur piercer pierced the area crooked, and placed a straight bar through. Tough tissue prevented it from ever migrating, therefore, the prolonged irritation and infections left me with scars. Note- Always plan and do your homework before making big decisions such as a piercing! I have so much more to write, but unfortunately that is what books are for. I gave you what I thought was the most important bases of dealing with a piercing, and if I remember anything that I am sure that I didn't add, I will try and do so. I hope you all enjoy, and choose your piercing path wisely! Take care everyone! If you have ANYTHING that you would like to say to me, or about this article, feel free to leave a comment below in the comment box. Thanks. Do body piercings close up or disappear? Herbal remedies! I forgot all about that, thanks! Wow, 13 piercings... you know allot yourself then for sure. I'm glad you've never had a negative experience though. You have a good piercer too. Lots of good advice here. I have 13 piercings and have never had a negative experience. My piercer is also a good friend of mine and has been studying piercing for about 15 years. Another tip for the healing is chamomile tea. I know it sounds odd, but it works so well! Brew up a cup of tea, enjoy that tea, and stick that tea bag on your piercing. My piercer recommended it to me and I thought it was odd so I did some research, but it's widely used and endorsed.